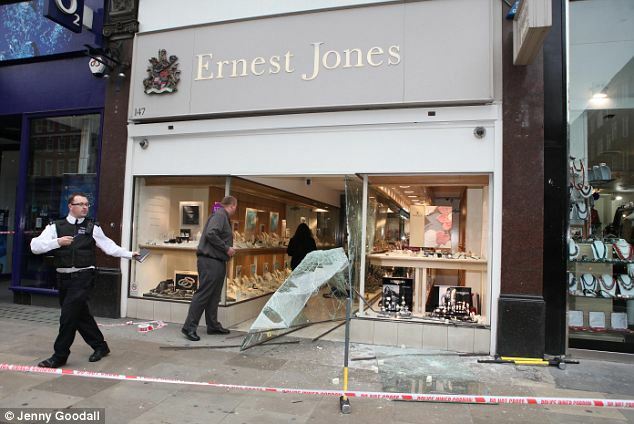 A gang of motorcycle robbers who smashed into Ernest Jones were thwarted when passers-by tackled them. Is Lindsay a Rolex Thief? It’s apparently crack down on Lindsay Lohan week for Los Angeles law enforcement. A day after sheriff’s deputies made a surprise house call to LiLo’s pad, the actress party girl’s attorney confirmed that the Los Angeles Police Department also has Lindsay in its crosshairs. Who said she’s no longer in demand? This time, cops questioned Lohan after a friend’s $35,000 Rolex went missing—at the star’s home, of all places. Anybody wants to steal this Diamond? A diamond that is almost forever Twinkling in the sky is a diamond star of 10 billion trillion trillion carats, astronomers have discovered. The cosmic diamond is a chunk of crystallised carbon, 4,000 km across, some 50 light-years from the Earth in the constellation Centaurus. It’s the compressed heart of an old star that was once bright like our Sun but has since faded and shrunk. 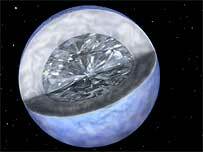 Astronomers have decided to call the star “Lucy” after the Beatles song, Lucy in the Sky with Diamonds. Some ¥5 million worth of watches and other items were stolen before dawn Thursday from Tobu Department Store Co.’s Ikebukuro store in Tokyo, and the thieves apparently got in via a hole they cut in the outer wall of the seventh floor — a tactic similar to a heist in the Ginza district earlier this year for which a group in Hong Kong was charged, police said. This week, the Swiss fashion world is mourning Swatch founder Nicolas Hayek, who died at 82 of heart failure. While Swatches may no longer be the coolest wrist accessory going, the brand’s bright, zany, and affordably collectible designs were a ubiquitous staple of ’80s and early ’90s pop style. Over the years, Swatch released thousands of culturally literate watches. Check out a selection of our favorites — including pieces designed by Akira Kurosawa, Vivienne Westwood, and Spike Lee — via the delightfully comprehensive vintage Swatch purveyor Swatch and Beyond, after the jump. Isn’t it about time Swatch made a comeback? Q8 Chrono, your one stop watch shop.